The Internet is a huge expansive world and can be intimidating not knowing what to do, where to start, etc. especially for someone newer to real estate. 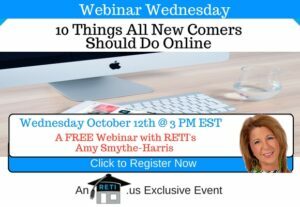 In this session Amy will give you 10 great tips you need to know if you’re going to venture online.